By the way, in October, Junk Bonds posted their worst monthly return since the depth of the 2008 crises. That should give you an idea of the environment we’re in right now. 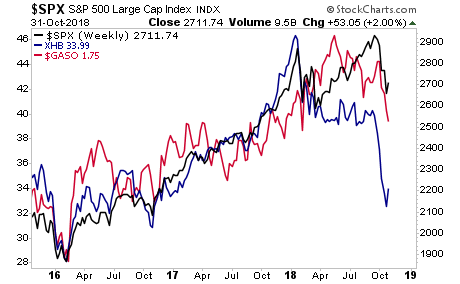 Indeed, when you consider what Housing and Gasoline are suggesting about the economy, it becomes clear stocks have a LONG ways to catch up on the downside. 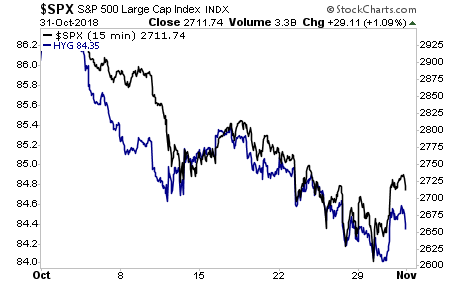 Gasoline suggests the S&P 500 should be in the 2,500s… Housing is down in the 2,200s. Bottomline: we are officially in a bear market, and stocks are going to collapse in a BIG way. Today there are just a handful left.